The Longest Ingredient Lists In The World? Behold the ingredient list for Kentucky Fried Chicken’s chicken pot pie. And consider your eyeballs scarred. 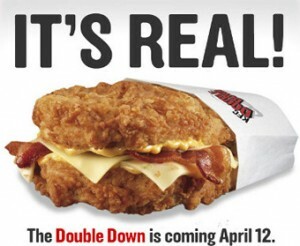 KFC’s Double Down Is Sooo Two Months Ago! Nutritionists across the country couldn’t help but groan earlier this year when KFC announced the launch of its “who needs sandwich bread when you’ve got fried chicken” Double Down sandwich. A few days ago, I tweeted about the latest fast-food concoction to knock the Double Down off its Nutrition Hall of Shame throne, and I thought it was also worthy of posting on the blog. 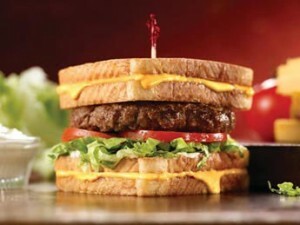 Behold Friendly’s Grilled Cheese Burger Melt! What appears to be the result of a middle school dare “amounts to three sandwiches morphed into one: First, there’s a Friendly’s Big Beef burger, but instead of a bun, there are two (count ’em, two!) grilled cheese sandwiches.” Slash Food reports. Not surprisingly, this amounts to 1,500 calories and 2,030 milligrams of sodium (84.5% of a day’s worth). You know something is wrong when your latest burger makes the Big Mac look like something out of an E-z Bake Oven. Thank you to Jon Slaughter for forwarding the Slash Food link. In the News: A Penny Saved… Is Also A Calorie Saved! The suits at Kentucky Fried Chicken (or, KFC, as they prefer to be known, since it doesn’t include the word “fried”) have come up with quite a creative way to market their healthier grilled chicken items — a “penny-per-calorie holiday promotion,” Louisville Business First reports..
Consequently, a 395-calorie meal that consists of “a grilled chicken drumstick and thigh, green beans, and mashed potatoes and gravy” is available for, you guessed it, $3.95. While fast food chains have much work to do from a nutrition standpoint (after all, if we instituted a penny-for-every-milligram-of-sodium policy, a single meal at an average fast food chain would cost roughly $20), I find it important to recognize when small, but significant, steps are taken. In this particular case, a financial incentive is offered in the hopes of attracting customers to healthier options. I like that! Thank you to Dr. Lisa Young for finding this article. "G" — It Was About Time! Earlier this year, Kentucky Fried Chicken launched a new grilled (well, technically roasted) chicken menu option in six cities — Indianapolis, Colorado Springs, San Diego, Oklahoma City, Jacksonville, and Austin. I was taken aback the initial resistance expressed by many KFC customers in the blogosphere. Several scoffed, others already declared it a flop. 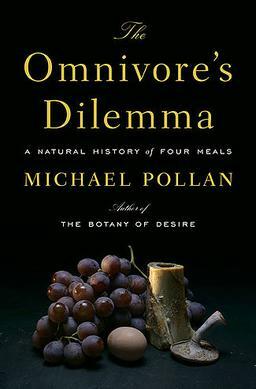 Ridiculous accusations of “food policing” came up, specifically paranoid delusions that people no longer had the freedom to eat friend chicken if they pleased. Besides, no one is taking away a fried option, so the outcry over a grilled variety has no validity in my mind. Rumors have circulated that KFC executives are crossing their fingers harder than ever with this new initiative since previous attemps to offer non-fried alternatives didn’t fare so well. This explains the obnoxious reassurance by KFC that they are still going to be launching new fried chicken products as well. Oh, well, let me sigh in relief then. As much as KFC talks about taking nutrition and health seriously, I don’t appreciate their almost apologetic stance to their consumer base. Anyhow, in comparison with the traditional fried product, a grilled 5.7 ounce KFC chicken breast contains half the sodium (although a still hefty 600 milligrams), half the calories (180, rather than 360), and 60% less fat (9 grams, as opposed to 21). KGC is supposed to be available nationwide next year. There better be the same multimillion dollar advertising campaign for this as there has recently been for the “extra crispy” (read: extra breaded, extra fried, and extra caloric) chipotle chicken. After all, sales of grilled chicken in Colorado Springs took a tumble when television commercials were pulled. 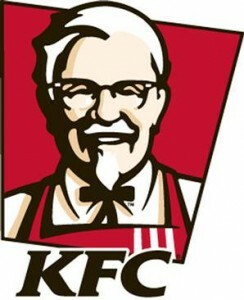 Any readers in any of the six “test” cities tried KFC’s grilled chicken? If so, what did you think?